A Boeing 787 under construction inside a production facility at a Boeing plant in Everett, Wash., last year. Boeing is scrambling to figure out why batteries malfunctioned on its 787, prompting officials to ground the airplane this month. And at a time when Boeing most needs its skilled engineers, they're weighing a possible strike. Union leaders are considering the company's final contract offer. The standoff between Boeing and about 23,000 engineers and technicians — mostly in the Seattle region — has been brewing for months. Dozens of them recently packed a union hall south of Seattle for training in how to run a picket line. Members of the Society of Professional Engineering Employees in Aerospace are white-collar workers, some with Ph.D.s, who design Boeing's airplanes — not the type normally associated with picket lines. They embrace their geeky image with their slogan "No Nerds, No Birds." Their only major strike was in 2000. But contract negotiations this time have left many of them upset. "It is hard for me to understand why the company insists we have to make concessions in our contract at this point," says union President Tom McCarty. "The company is doing very well and we're a big factor in making that success." Despite the Dreamliner crisis, Boeing has been doing well — it had record sales last year. The urgency of the 787 investigation brought the union and company closer to an agreement. But they're still at loggerheads. Boeing wants to offer new employees a so-called defined contribution plan — like a 401(k) — instead of a defined benefit plan like a traditional pension. Boeing is just following lots of other companies, such as GE, Lockheed Martin and the automakers. "Most corporations are trying to de-risk," says Olivia Mitchell, who specializes in pensions at the Wharton school of business at the University of Pennsylvania. "What that means is they're trying to get out of the mold where they're having their contribution amounts jackknifed by the economy, by interest rates, by the stock market and move to a more predictable funding flow," Mitchell says. Boeing's pension obligation totals $75 billion, which is more than the company's entire stock market value. Boeing has been putting money into it, but it's still only three-quarters funded. Company executives declined an interview, but Mike Delaney, vice president of engineering, spoke with reporters about the contract talks earlier this month, before the FAA grounded the 787. At the time, he said keeping costs down is key. "We don't want just any deal — we want a deal that works for the company both short-term and long-term," Delaney said. The union says new hires will be shortchanged. Company officials concede new workers will get less than current employees, but they say the offer is still generous. So that's a pickle: Do current employees strike on behalf of future employees? Union leaders say this is important because giving in would split employees into factions and start a downward slide in compensation. "This is a headache they do not need at this point in time," says aviation analyst Scott Hamilton. He says Boeing can't afford an engineer walkout right now. Its top priority has to be fixing the 787. "They're not even able to test fly the airplane at this point, so the longer the airplane's on the ground, the more costly it's going to be to Boeing," Hamilton says. Union leaders will decide Thursday whether to have engineers and technicians vote to authorize a strike. If that happens, membership will have until mid-February to decide whether to approve a walkout. Boeing is scrambling to figure out why two batteries malfunctioned on its 787 Dreamliner, prompting officials to ground the entire fleet. And at just this moment, when Boeing most needs its skilled engineers, they are weighing a possible strike. 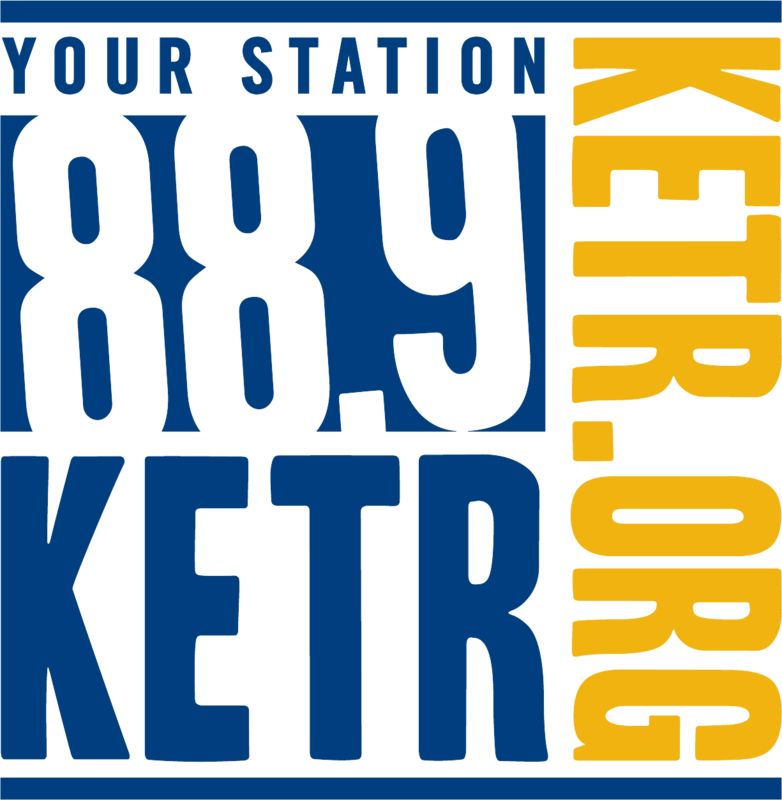 Today, union leaders will consider the company's final contract offer. From KPLU in Seattle, Ashley Gross reports. ASHLEY GROSS, BYLINE: The standoff between Boeing and about 23,000 engineers and technicians - mostly in the Seattle region - has been brewing for months. Dozens of them recently packed a union hall south of Seattle for training in how to run a picket line. UNIDENTIFIED WOMAN: We're doing another picket captain training next week, I believe in Tukwila. GROSS: These are white-collar folks - some with PhDs - who design Boeing's airplanes. Not the type you normally associate with picket lines. They embrace their geeky image with their slogan No Nerds, No Birds. They've had only one major strike, back in 2000. But contract negotiations this time have left many of them upset. Tom McCarty is a lifelong Boeing engineer and president of the union, the Society of Professional Engineering Employees in Aerospace, or SPEEA. TOM MCCARTY: It is hard for me to understand why the company insists that we have to make concessions in our contract at this point. The company is doing very well and we're a big factor in making that success. GROSS: Despite the Dreamliner crisis, Boeing has been doing well - it had record sales last year. The urgency of the 787 investigation brought the union and company closer to an agreement. But they're still at loggerheads. Boeing wants to offer new employees a so-called defined contribution plan, like a 401(k), instead of a defined benefit plan like a traditional pension. Boeing is just following lots of other companies, like GE, Lockheed Martin and the automakers. OLIVIA MITCHELL: Most corporations are trying to de-risk. GROSS: Olivia Mitchell specializes in pensions at the University of Pennsylvania Wharton School. MITCHELL: What that means is they're trying to get out of the mold where they're having their contribution amounts jackknifed - by the economy, by interest rates, by the stock market - and move to a more predictable funding flow. GROSS: Boeing's pension obligation totals $75 billion - more than the company's entire stock market value. Boeing's been putting money into it, but it's still only three-quarters funded. Company executives declined an interview, but Mike Delaney, vice president of engineering, spoke with reporters about the contract talks earlier this month, before the FAA grounded the Dreamliner. At the time, he said, keeping costs down is key. MIKE DELANEY: We don't want just any deal. We want a deal that works for the company, both short-term and long-term. GROSS: The union says new hires will be shortchanged. Company officials concede new workers will get less than current employees. But they say the offer is still generous. So that's a pickle: Do current employees strike on behalf of future employees? Union leaders say this is important. Giving in would split employees into factions and start a downward slide in compensation. SCOTT HAMILTON: This is a headache they do not need at this point in time. GROSS: Scott Hamilton is an aviation analyst. He says Boeing can't afford an engineer walkout right now. 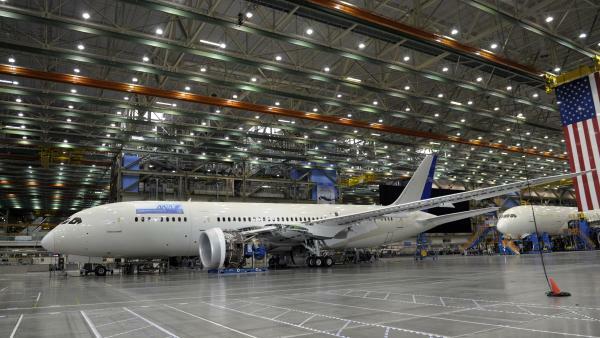 Its top priority has to be fixing the 787 Dreamliner. HAMILTON: They're not even able to test fly the airplanes at this point. So the longer the airplane's on the ground, the more costly it's going to be to Boeing. GROSS: Union leaders will decide today whether to have engineers and technicians vote on strike authorization. If that happens, membership will have till mid-February to decide whether to approve a walkout.